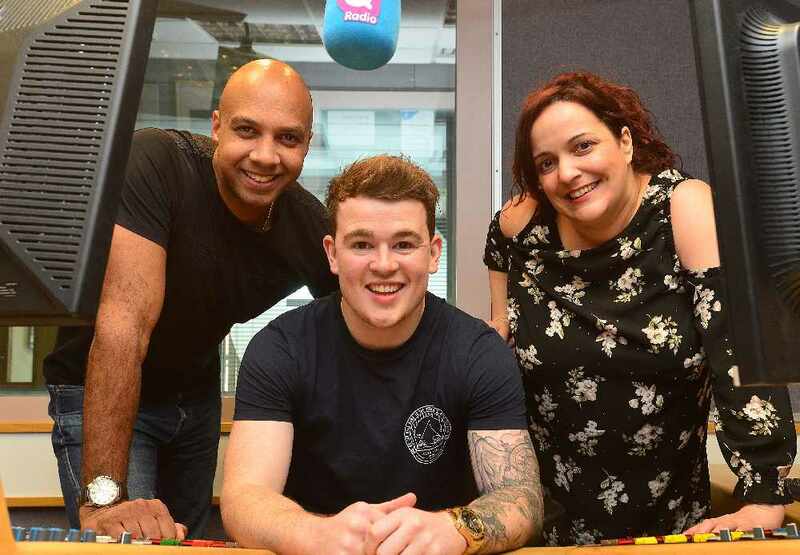 Northern Ireland’s favourite X Factor star Eoghan Quigg has joined Q Radio to host a new feature ‘On the QT with Eoghan Quigg’, which will see him present showbiz news and roadshows across Northern Ireland. Just 16 years old when he reached the final three in series five of the hit reality show, Eoghan wowed the public with his singing talents and natural Irish charm. After the show aired in 2008, Eoghan toured the UK with X Factor Live and was snapped up by record label RCA records where he released his debut album, before making the decision to quit music to concentrate on his education. 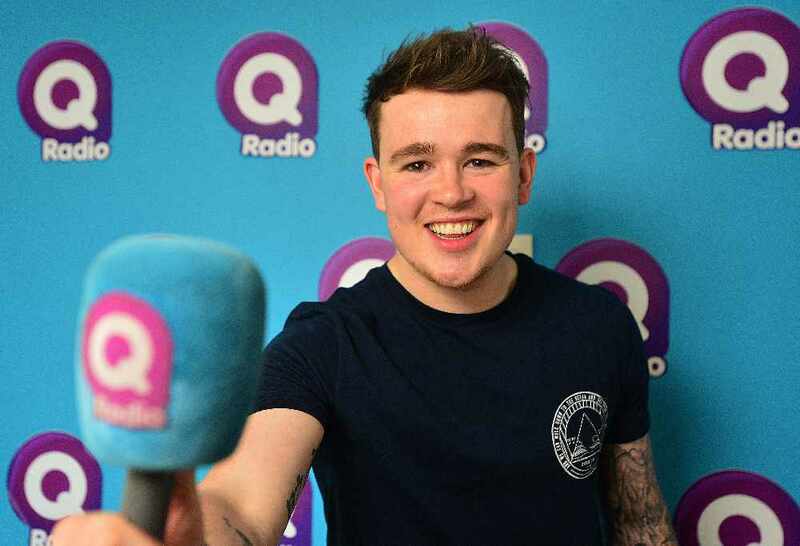 Speaking about his new role with Q Radio, Eoghan said: “I’m so excited about working at Q Radio, in my eyes it’s the best radio station in the country and I love the line up. Stephen and Cate in the mornings, the Big Drive Home Team, the guys at the Q Zoo, it’s all great radio no matter when you tune in. “My family has listened to Q for years. It’s come so far and I’m grabbing the opportunity to be a part of that and contribute to a growing success story. 24 year old Dungiven-native Eoghan has also started gigging again for the first time in eight years, playing acoustic sets across Derry. “I graduated last Halloween, and started gigging again. I just decided one Saturday night to buy a load of equipment and thought it’s been eight years, it’s time to start singing again. “So I sorted out my set lists, got my name out there and started acoustically gigging in bars, just me and my guitar, totally stripped back. That’s about nine months now and I’m flat out. “I’m getting great reactions on the show - just nice to be doing something musical again. I just got sick of it before, probably because I was too young and homesick, but I’m loving what I’m doing now. It doesn’t have to be mainstream huge concerts, I just enjoy a gig on a Saturday or Sunday night. And you know what, when you get a round of applause you really appreciate it a lot more,” he said. 2008’s X Factor was a vintage year for fans, with global superstar Beyonce’s infamous performance during the final. “Meeting Beyonce was incredible, we all got 10 or 15 minutes to meet and greet with her and the first thing she asked me was how my Mum was and my new baby sister. 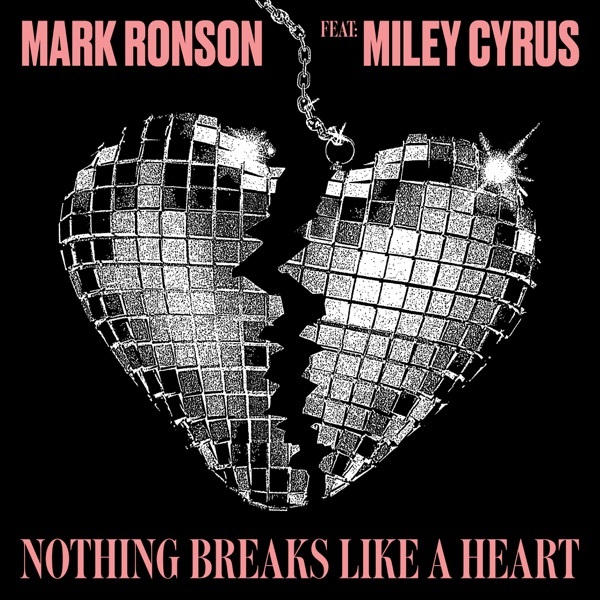 “A wee boy from Northern Ireland, from Derry, talking to someone like Beyonce, it was so surreal that someone of that calibre took the time out to find out something about me – it’s always stuck with me, she’s a total superstar and my favourite person I’ve ever met. “The whole X Factor experience was amazing. I had begged my parents to go, I just wanted to see if I was any good. They got whatever pennies they could rub together to take me over and I’ll be forever grateful for it. 180,000 people auditioned and to come third was an absolute dream. “I did the whole famous thing and I have been away for a while but have always stayed down to earth and never let myself get too high above the clouds. I’m a normal guy and I quite enjoy the quiet life but I still want to be involved within music, I’m writing songs for other people now and I’m just excited now to see what this new chapter with Q will bring. “The local music scene is really good – it’s great to see artists like Ryan McMullan supporting Ed Sheeran – he’s phenomenal. “It’s tough here though, and musicians tend to have to go over the water to England to get noticed. I’d love to be able to use my new role at Q to help support and showcase local acts, that would be awesome,” he added. Managing Director of Q Radio, Robert Walshe said: “We are delighted to welcome Eoghan to the team, he’s a young guy with serious star quality and we think he’s a great fit for our ambitious and dynamic brand. “We’re very proud of our unbeatable talent line-up and commitment to pushing the bar in terms of delivering quality, engaging radio that really connects with the audience,” he added.